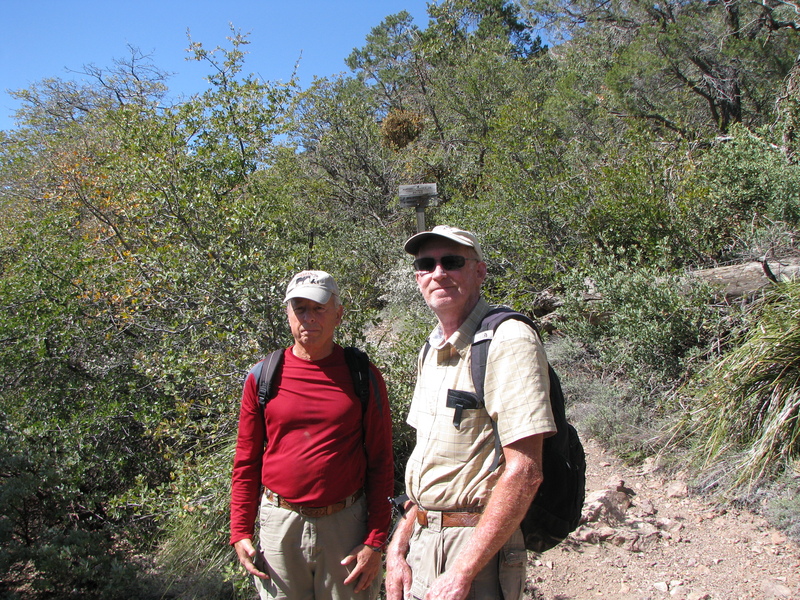 Today three of us, George, Peter, and me, went exploring again in the high country of the Mazatzal Wilderness. 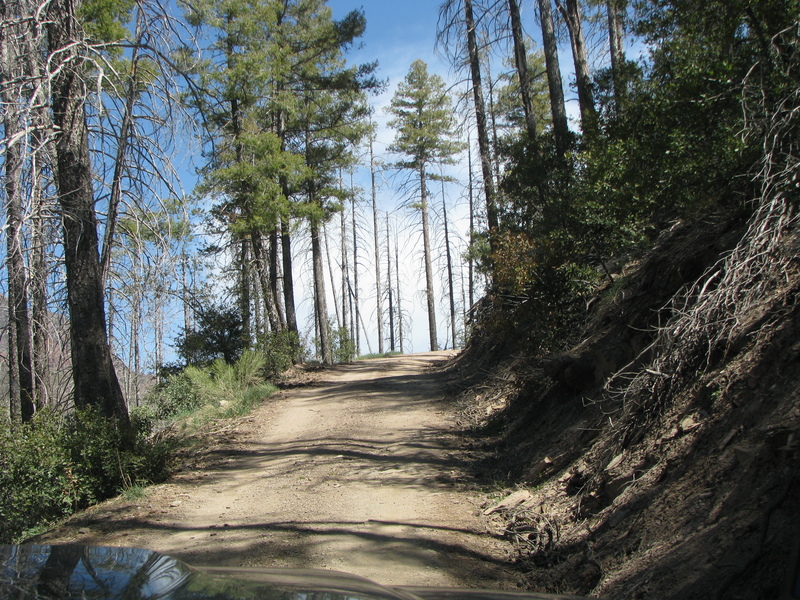 Forest Road 201. The road surface is quite good, actually, but not suited to large vehicles. Georges’ ForeRunner was ideal, but a crew cab long bed dually would be out of place. Very scenic, just enough dropoffs to keep your attention, but not enough to be scary. The climb to the trailhead takes your over some 6,000+ foot ridges, and eventually drops down into a small saddle at about 5,600 feet where the trailhead lies. It was 90+ degrees back at the RV Resort, but a very pleasant 62 degrees at the trailhead. 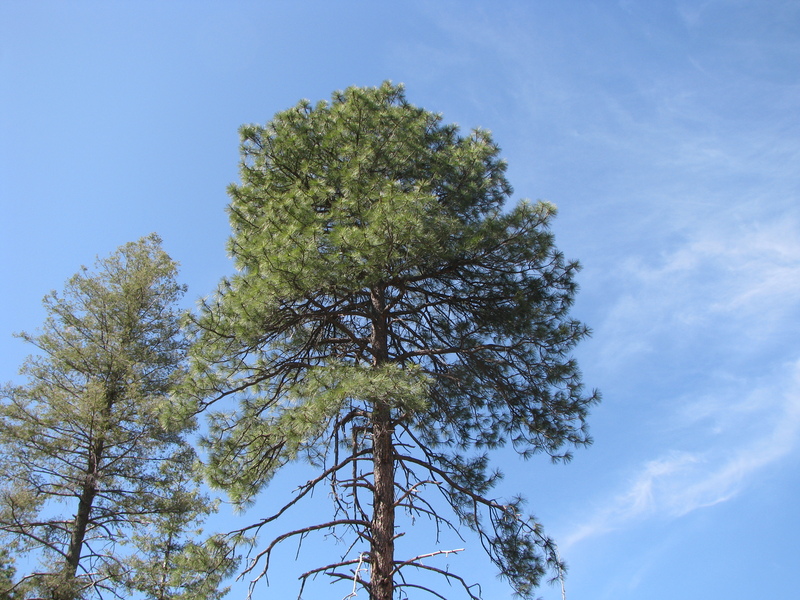 Because of the elevation, you find yourself in a forest environment, mainly Ponderosa pine and alligator juniper. 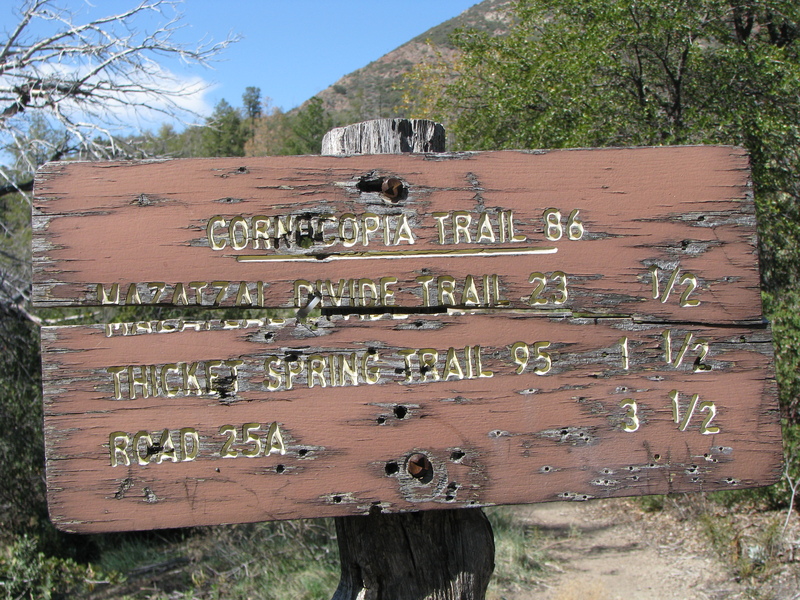 This trailhead actually is sort of a mini-hub, serving several routes, some of them multi-day backpack trips, and a couple of more “local” hikes. 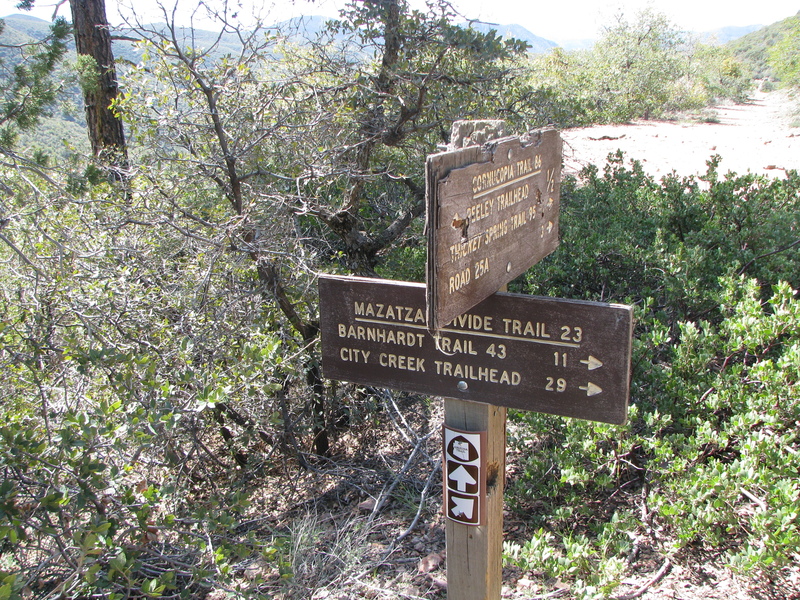 The trailhead is also a node on the Mexico-to-Utah 700-mile Arizona trail. We hiked a short distance, perhaps 2 miles round trip up toward the summit. 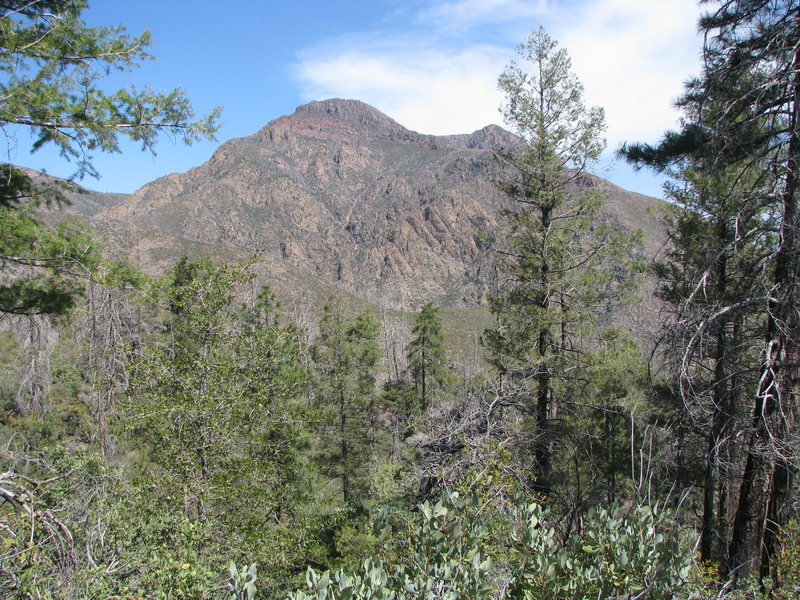 The summit is about 2.5 miles from the trailhead, and 1,400 feet of ascent. Some days it’s OK to be lazy, so we only did the easy lower part. George brought some good maps along, and we have plotted out a nice “combination” hike for next season which allows using this trailhead for two simultaneous hikes. Our plan is this…. First, everyone rides together to the Mount Peeley trailhead. Then….. Hike #1. Some hikers will want to “bag the peak”. 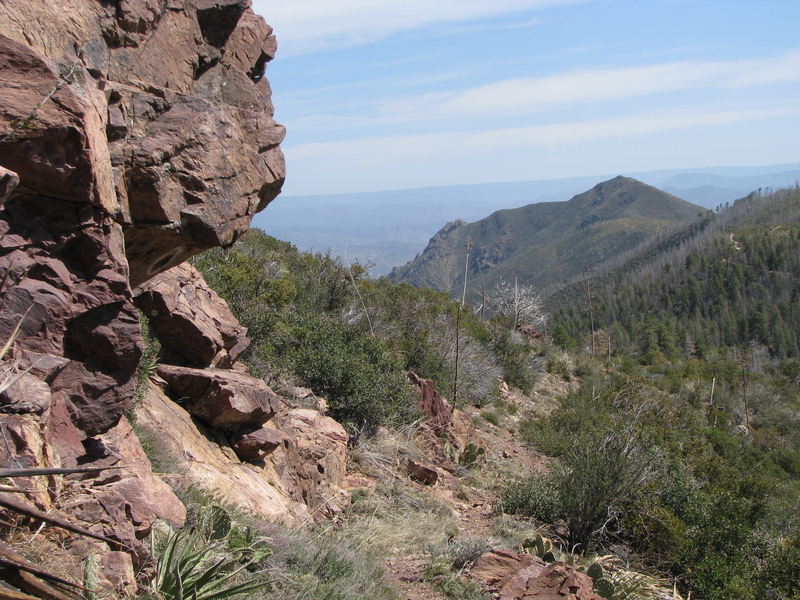 This is a 5 miles hike, with 1,400 feet of ascent. Hike #2. 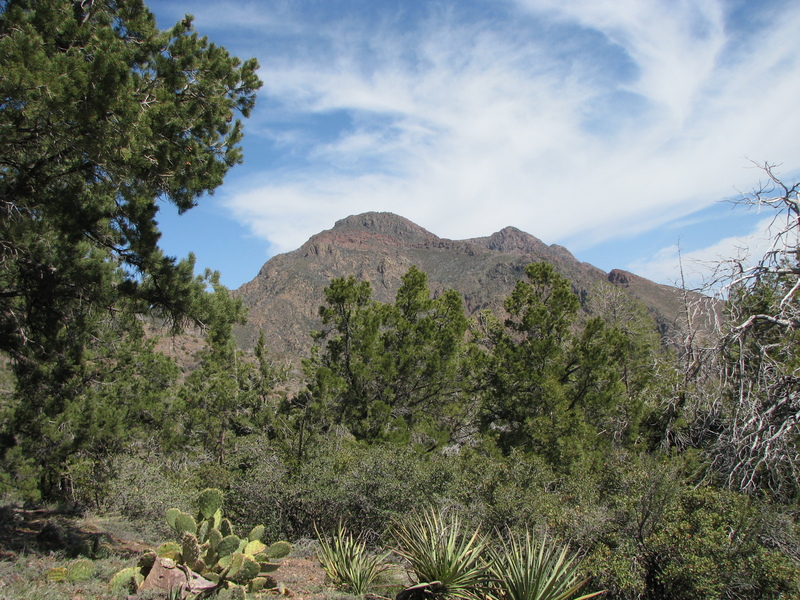 Some other hikers will want to hike Arizona Trail down the mountain to a second trailhead. 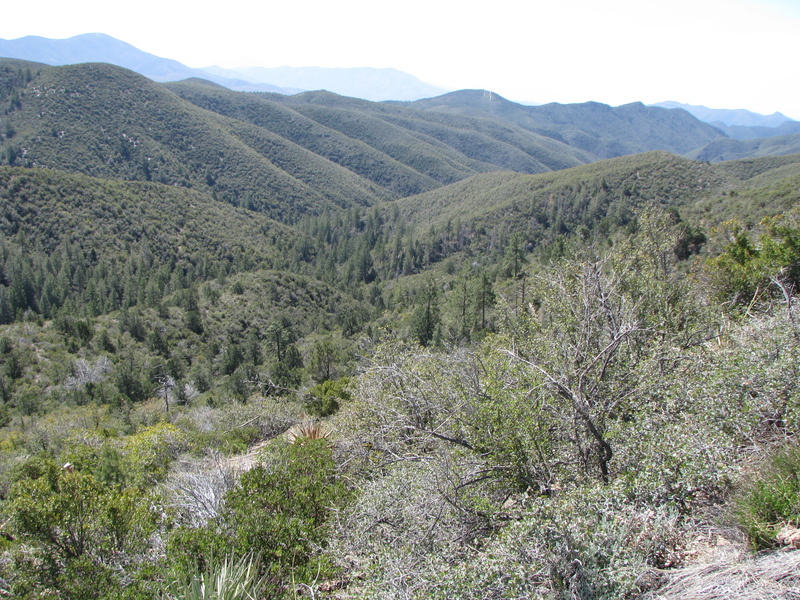 This is a 12-mile route, containing a total of 4,000 feet of descent and 1,500 feet of ascent mixed in. The hikers who do the summit hike (#1) will naturally return to the original trailhead where they will ferry the vehicles back down FR201 and pick up the long-distance hikers and we all travel merrily back home. “Simple, huh!” said George as he refolded his maps. Gee, Poor GPS Joe! It is an interesting story. 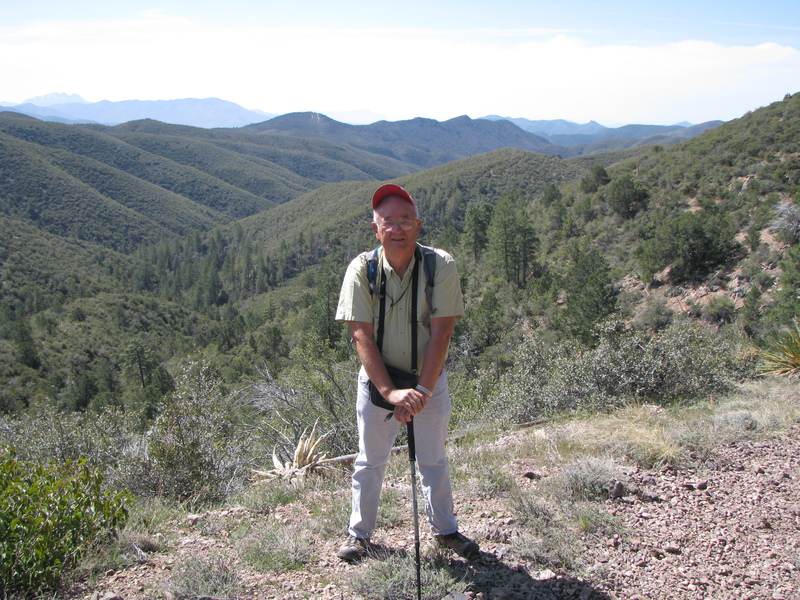 I am sure after your post this hike and George’s combination will be on the list next year. Nice job, once again. Great pictures, Hans. 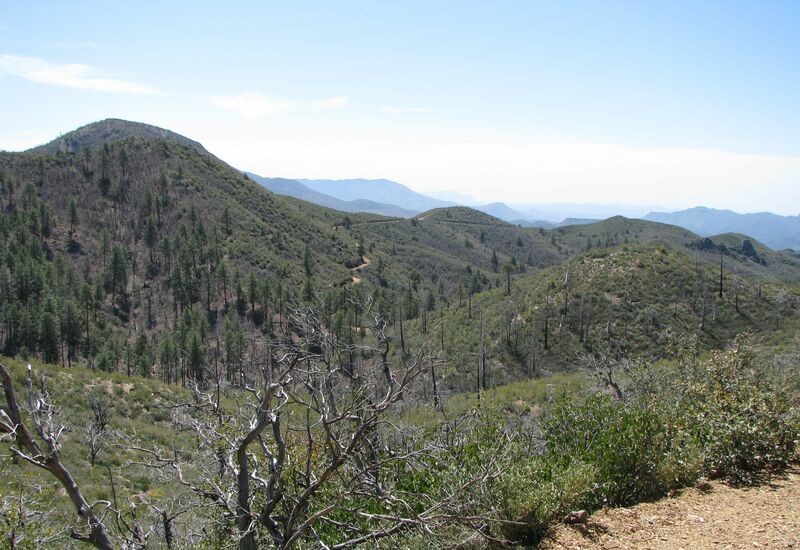 Is this the hike that you showed me pictures of hills looking as if someone had used “pinking shears” on? This is the other Joe – not related. Good hike guys. Great job. 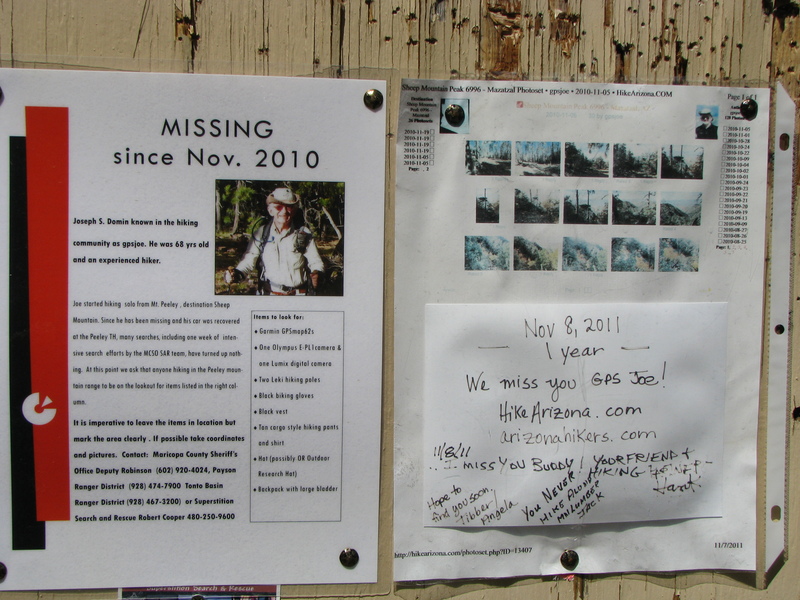 Sad about GPS Joe..